I flew to French Polynesia for the First Tahiti Seasteading Gathering 2017, a four-day conference for seasteading enthusiasts. I firmly believe this pioneeringtechnology can open the seas to human dwelling and exploration and help solve some of the world’s most important problems. As I stepped off the plane and was graced with a lei, it was late at night, but warm, with the fragrance of flowers in the air. And not because someone had planted flowers nearby, the whole island is continually awash in an aromatic blend of tropical flowers light on the breeze but never overpowering. 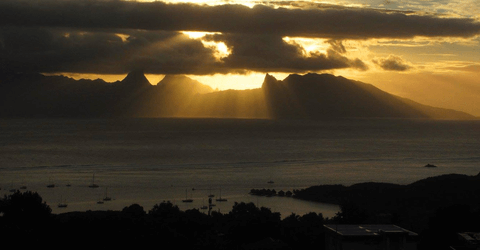 It was a touch hot in Tahiti and humid during the day, but not oppressive, and I always had this sense of being welcome, safe, and in a soulful place. The Tahitians say they are ‘people of mana’ meaning a spiritual people with a certain not easily defined positive cultural ethos, and you could sense this in the natural warmth of the people themselves, even those we just randomly encountered on the street or on the beach. Very refreshing atmosphere and un-citylike. It was easy to understand how someone raised in such a welcoming island culture could find an impersonal mega-city on the mainland a jarring and cold place to visit. The conference hosted about two hundred people, including nearly 100 international visitors like myself from over a dozen nations, and many local Tahitians curious about the new venture attended as well. We had gathered to hear everything about the proposed Tahitian seastead and see the chosen lagoon, led by the principal members of the Seasteading Institute, who have now formed a new corporation, Blue Frontiers, to build the first Tahitian seastead and get it off the ground and into the water. Several days of speakers approached the new venture from multiple angles as their expertise dictated, explaining the promise of seasteading, why anyone would want to do it, how it could be done, the history of it, the potential future of it, and how it could improve the world. We heard from the vice president of Tahiti, experts in law, local culture and history, tourism, complexity theory, engineering, world renowned naval architects, and even a billionaire deeply interested in new modes of social and neighborhood organization, and of course representatives of the Seasteading Institute itself. 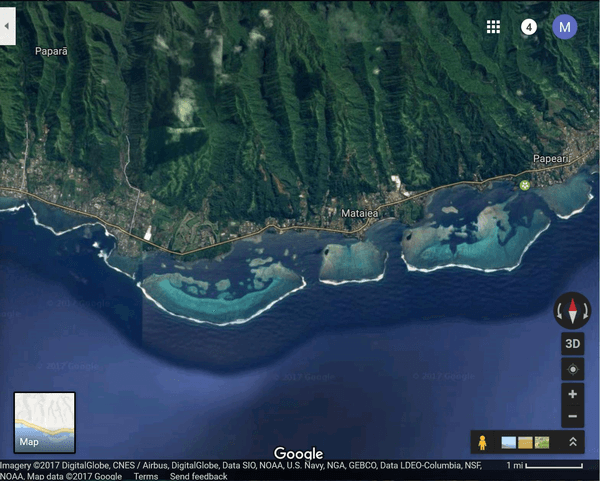 So why do seasteading in Tahiti, of all places? Some of the speakers addressed this directly, especially some of the local political leaders. 20% of Tahiti’s population is living on or near sea level, meaning a one meter rise in sea levels will immediately displace about 40,000 of their people, and threatens their top two industries: tourism and pearl production. Sea-level rise is a direct threat to their livelihood and population. 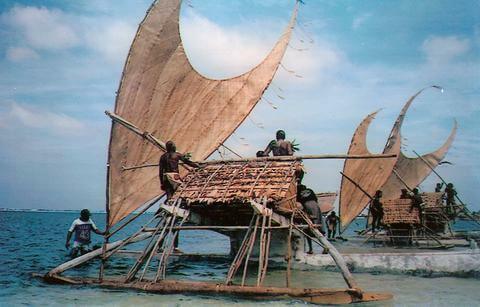 Beyond that, the Tahitians themselves remarked that Polynesians are the original seasteaders, it is their legacy, in their blood; they were sailing and living at sea, sometimes for years at a time, in the recent past. They live and breathe the sea every day of their lives, and have a love for it like a member of the family. This love for the sea is obvious in them; to live in Tahiti is to have a relationship with the sea. 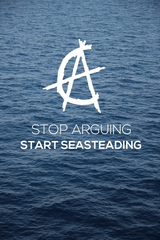 And seasteading is a venture for people who love the sea, or are willing to fall in love with the sea. I myself grew up in a port town and sailed as a teen, and I have my own stories of flipping boats both on purpose and accident, of saving a boat headed towards the rocks, or of racing my friends in tiny sailing skiffs. Indeed, humankind itself has a love affair with the sea, 80% of world population lives within 60 miles of the ocean, according to one source. Seasteading, I predict, will quickly feel more natural than people currently expect, and I think humanity will take to it eagerly once shown to be practical. The proposed lagoon site for the seastead is situated on the South side of the island near Mataiea, protected from wave activity by huge stretches of natural coral-reef breakwaters. It is an ideal location to serve as a nursery for a young seasteading community. From the satellite image above, the lagoon seems tiny, but from the beach it is gigantic–more than enough room to build a number of seasteading structures for many people and many purposes. The satellite photo does not do it justice. So when could you move to the Tahitian seastead? As things stand now, the project faces a few legal challenges that the Seasteading Institute is working hard to resolve with several legal professionals like Tom W. Bell. They plan to create a new legal concept called a ‘Seazone,’ a legally-defined territory specifically for seasteading, using the legal model cruise-ships operate under currently. It sounds novel and viable to hear it. They ultimately will need legislative support from both the Tahitian government, and the French government of which Tahiti is a protectorate. But things look quite positive on that front. We are all very optimistic, and clearly this effort is in the extremely good hands of Seasteading Institute heads, Randy Hencken and Joe Quirk. As for our company, Ventive Seatech, we are focused on producing single-family seasteads which can be used anywhere in the world, and are working towards establishing a first seasteading city in international waters outside San Francisco for entrepreneurs with visa-problems. 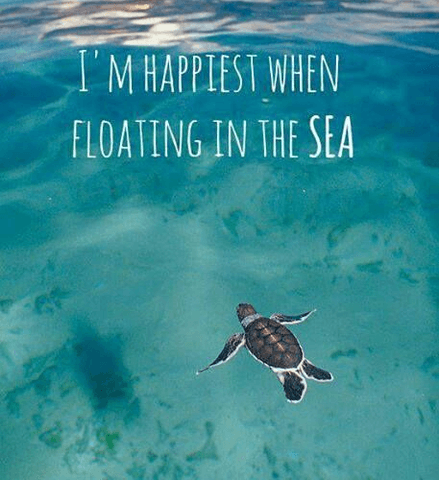 We would love to create seasteads for the Tahiti seazone as well, of course, and will contribute to the success of the Tahiti seasteading effort in any way we can. We suggest that our Bermuda product would work well in the Tahiti seazone, as well as the Maran configuration.